Kids today spend far too much time in front of computers, phones, and TV screens. And this isn’t just a cliche concern voiced by parents and Baby Boomers. The Common Sense Media Report found that the average kid between the ages of 8 and 12 spends more than 4.5 hours staring at screens every day, a number that rises each year. It’s always been easy for children to get distracted, but thanks to all the technology available today, it’s easier than ever for kids to while away the hours playing video games and watching TV. Because of all these technological distractions, it’s up to the adults, parents, and business owners alike to emphasize and encourage physical activity however we can. Simply getting outside and playing around can have tremendous benefits for a child’s life. In fact, in addition to the health advantages of physical activity, playing actually stimulates brain development. Studies have shown that it’s essential for kids to have regular opportunities for a variety of gross motor activities. Additionally, children that do not receive this type of constant interaction during their first six years will likely face a lifetime of limited brain power. So what can adults do to make active, physical play more appealing to kids than whatever popular video game or TV show is on? Kids enjoy stimulation, which is why it’s important to create exciting places where children will want to play. 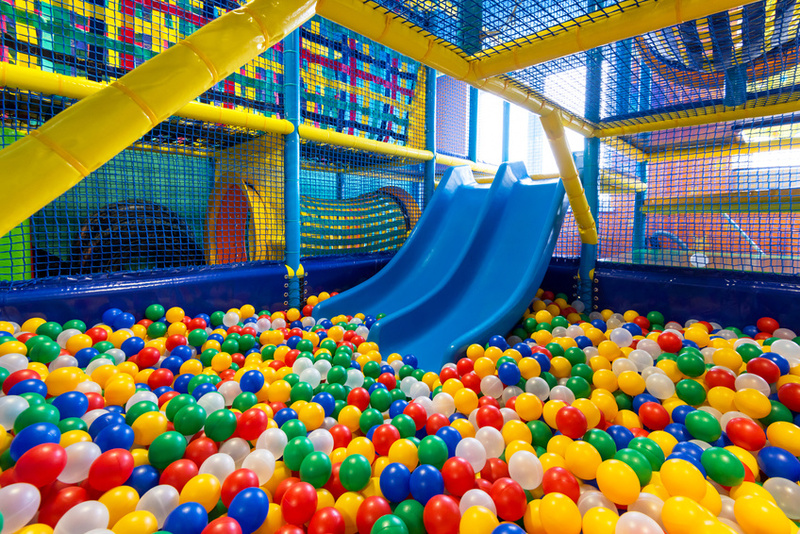 Purchasing indoor playground equipment and building a large playground can really appeal to a child looking for some fun. If there are kids in the vicinity of a fun looking playground, even if they are playing a video game or looking at their phones, they will at least be curious as to what kind of fun is going on. As long as one kid decides to take the jump and play on a real-life playground (and not a digital one), all the other kids will likely follow suit. A play area on its own isn’t all that great to a kid who is focused on a screen. But a playground filled with the siren call of childhood fun and laughter is truly one of the most magical areas in the world. All it takes is for one kid to get sick of that video game, toss it to the side, and take the plunge down that fun-looking slide or climb on those monkey bars to get hooked on real-life fun once again. If you want to learn more about the importance of physical activity, brainstorm playground ides for your commercial business, or find quality indoor playground equipment, give Kid Steam a call today.